There’s a ‘visible difference’ in the appearance of a landscape when maintenance staff take pride in the service they deliver and genuinely care about their work. The Solid Ground team care – and it shows. Before impressing any stakeholder, the horticultural standard of a landscape needs to impress us and must meet our own internal standards. Presentation of the external image is paramount, but equally important is ensuring our clients benefit from a healthy, clean and safe landscape, all critical areas of service delivery that we take very seriously. 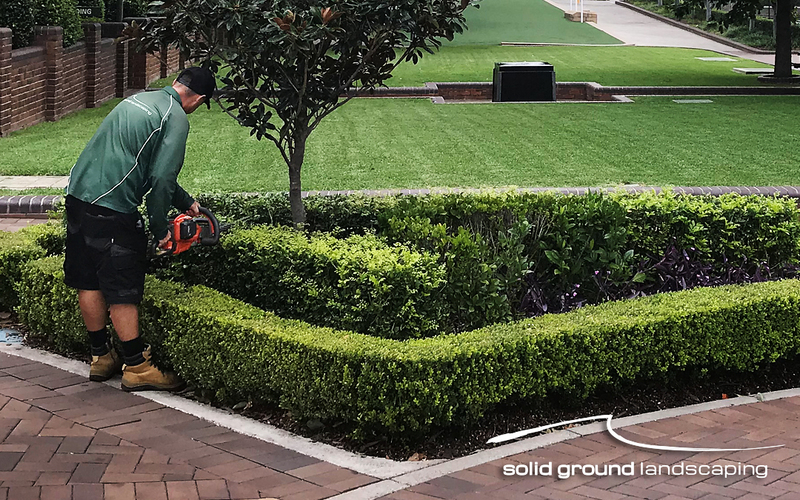 If your landscape isn’t creating a positive, long-lasting impression then contact Solid Ground.